When LinkedIn isn't working properly, you might be left wondering if it's LinkedIn or if it's you. The answer isn't always clear, which is why you might need to do some detective work and try a variety of different solutions. If the problem is with LinkedIn, all you can really do is sit back and wait for it to be resolved. But if the problem has something to do with your account, your app, your machine or your device, there are a few things you can do to try to get it working again. LinkedIn has an official (verified) customer support account @LinkedInHelp on Twitter that aims to answer as many users who tweet to it regarding their experiences with LinkedIn. If there's a higher than usual number of tweets concerning LinkedIn being down or not working, a tweet might be posted to notify users that the problem is being addressed. Don't see an update from @LinkedInHelp addressing reported problems with the service? Try tweeting to the account with your issue. You might get a direct reply. Down Detector is a popular status overview site for popular web services and social networks. It collects status reports from a variety of sources to provide real-time updates about outages and service interruptions. Simply navigate to DownDetector.com/Status/LinkedIn to see its current status. If nothing is wrong, you'll see a green bar labeled No problems at LinkedIn. If there's an outage or interruption, you'll see a red bar labeled Problems at LinkedIn. If you ruled out the possibility of a widespread LinkedIn outage or interruption using the techniques suggested above, then it might be safe to assume that the problem could be occurring only on your end. To find a possible solution, you can take advantage of the troubleshooting resources from the LinkedIn Help Center. Select Me from the main menu, then select Sign Out at the bottom of the dropdown list. Once signed out, sign back into your account again to see if the problem is still there. Sign out of your account, then clear your web browser's cache and cookies to wipe the data from it and prepare to load everything up again from scratch. Here's how to clear every major browser's cache, in case you've never done it before. Once you've done that, sign back into your LinkedIn account and check if the problem is persisting. Open or download another major web browser that you're not currently using and navigate to LinkedIn.com to sign into your account. For example, if you're using Chrome, try it in Safari or Firefox. Check to see if the problem you're experiencing in your primary browser is occurring in your secondary browser too. If the problem isn't occurring in your secondary browser, consider updating your primary browser. If you're already using the latest version of your browser, you can try checking and disabling its pop-up blocker, which might be interfering with certain features on LinkedIn. LinkedIn has a Help Forum for users who need help or advice using LinkedIn. Users who post topics may be answered directly by a support member (moderator). You can use the search field at the top to search for a keyword or phrase to see if a discussion topic about your problem has already been posted in the forums. If you can't find any existing discussions about your problem, you can select Start a New Forum discussion to post a new one yourself. You could get an answer from support or another user in as little as under an hour if you're lucky. 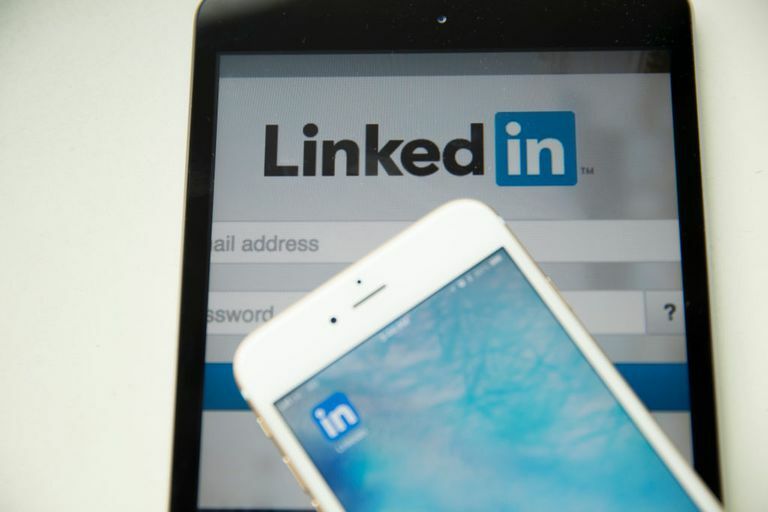 If you tried all of the most relevant troubleshooting tips explained above for your specific problem with LinkedIn and still couldn't resolve it, you can use LinkedIn's Contact Us form as a last resort to get in touch directly with a LinkedIn representative. Keep in mind that they might need to access your account to troubleshoot the problem. It's not clear when you might hear back from a representative, but you can visit LinkedIn.com/Help/LinkedIn/Cases to view your open cases and their statuses.